Eurospec Sport has commissioned famed motorsport artist Colin Carter for an oil on canvas painting of the legendary Audi 200 Turbo Trans Am and Audi 90 Turbo IMSA. The 200 is shown at the 1988 SCCA Trans Am Championship at Mid-Ohio, while the 90 is captured exiting the corkscrew at Laguna Seca at the 1989 IMSA GTO Championship. This brilliant painting is now available as a print in very limited quantities. 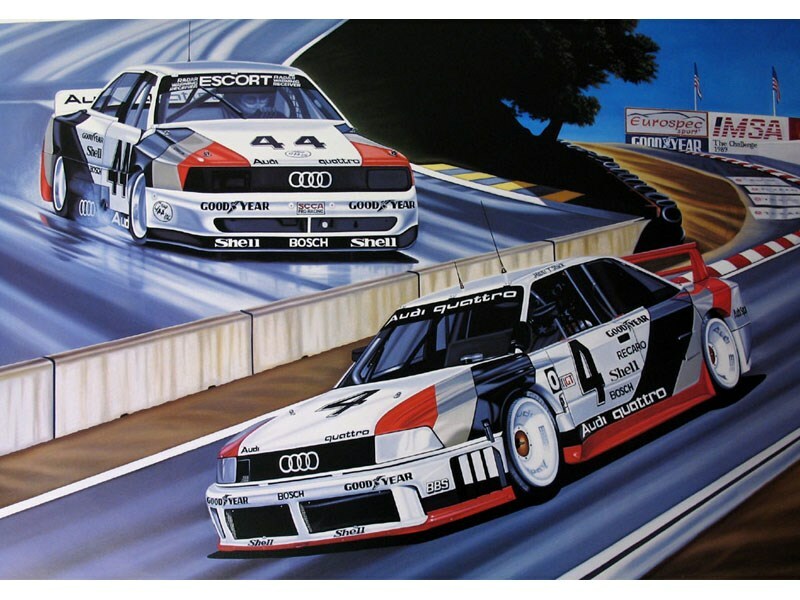 Each print is hand numbered and autographed by the artist and autographed by drivers Hurley Haywood & Hans-Joachim Stuck. This is a rare opportunity to own a one-time, limited production print. 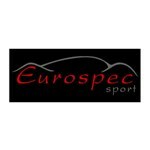 It would make a great addition to the collection of any Audi enthusiast or racing fan. Each print measures approximately 100cm x 70cm (39" x 28").